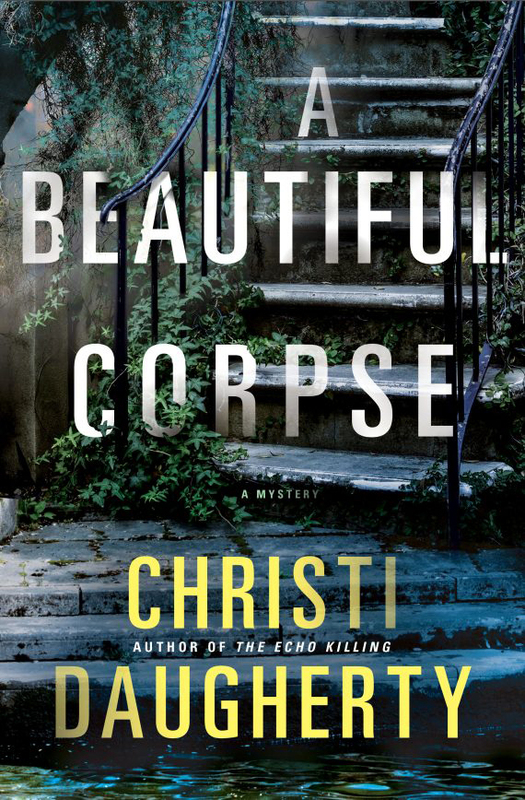 With A Beautiful Corpse out this month, former crime reporter Christi Daugherty is bringing to life the profession of investigative journalist through her Southern-set Harper McClain series. 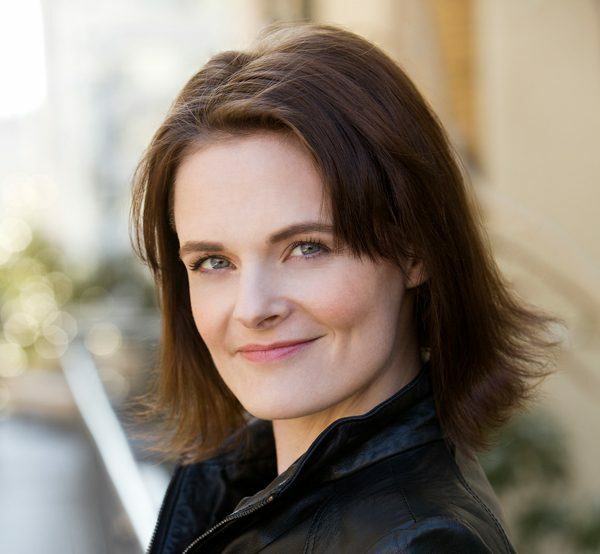 Working as a journalist in Savannah, Georgia, and Baton Rouge, Louisiana, in her early twenties, Christi Daugherty says she risked her life for the story. She knew she’d want to write about the gritty experience of speeding to crime scenes and uncovering corpses one day, but it took a long time for her to get there. Daugherty, who now lives in the South of England, has two other series under her belt: “The Secret Fire” and “Night School.” It wasn’t until The Echo Killing was released last March that we began to see some of her past life creep into her work. In book one of her “Harper McClain” series, we meet a woman obsessed with crime ever since the murder of her mother when she was 12 years old. The killer was never caught and so Harper’s work as a crime reporter in Savannah consumes her. One day, she stumbles upon the scene of a homicide that looks very familiar. The similarities between the murder of Marie Whitney and her own mother’s death​ lead her to believe they’re both victims of the same killer. But her investigation will put Harper herself in the killer’s crosshairs, where she remains through book two. A Beautiful Corpse, out this month, has Harper investigating the murder of Naomi Scott, a law student who worked at the bar she frequented. There are no witnesses and three suspects, but the pressures put on Harper go beyond the case. More layoffs are coming at the newspaper, and Harper begins to realize that someone has been watching her. 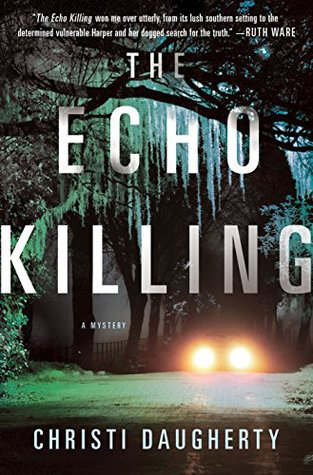 Set to a backdrop of Savannah’s moss-draped oaks and historic architecture, Daugherty shows the juxtaposition between the touristy side of this belle of a Southern city and the one in which Naomi’s murder takes place. We interviewed her by email from England to ask about her inspiration for the series, Savannah as her setting, the state of journalism today and what’s next for Harper McClain. Erin Z. Bass: It looks like your Harper McClain series was inspired by your own work as a journalist in the South. How did the series come about and how many books do you have planned? Christi Daugherty: My first job after college was working as a crime reporter in Savannah. It was a fascinating time—I was 22 years old and incredibly dedicated. I risked my life regularly out of sheer stubbornness, trying to be the one who got the story. I think I always knew I’d want to write something about that life. But The Echo Killing took a while to come to me. I think I needed distance between actually doing the job and writing about a fictional character doing it. 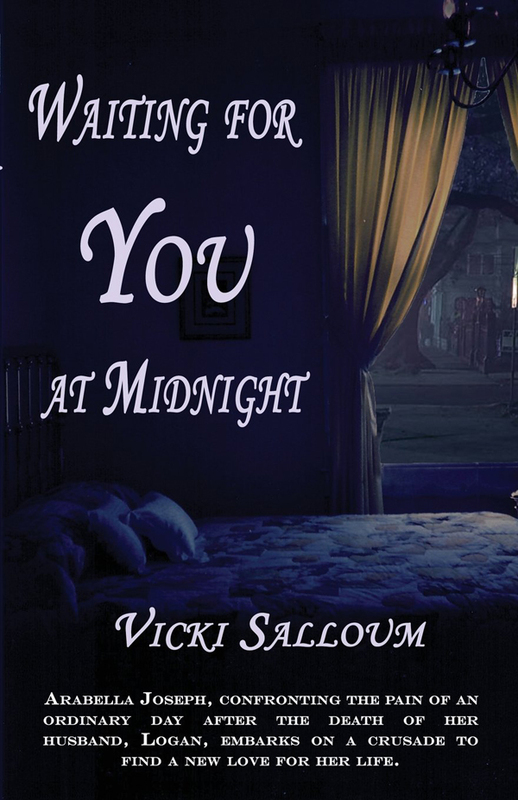 Two years ago, I finished writing my young adult series, “Night School,” and I was looking for something different. “Night School” is set in England, where I now live, and I was itching to write a character who lived in America. I sat down with a pen and paper to sketch out this character and before I knew it, Harper McClain was on my page. Waiting to be written. EZB: You show a darker side of a city that’s known for its history, gardens, Southern charm and beauty. Why did you choose Savannah for your setting? CD: My work as a reporter took me to quite a few cities. I lived in Houston, Baton Rouge and New Orleans, but Savannah was the place that stayed with me. It’s such a distinctive city—no place on earth looks like it. Those colorful, antebellum houses. The long branches of the oak trees and the swinging Spanish moss. And yet, outside the tourist district, Savannah struggles with a crime problem and with pockets of intractable poverty. As a crime reporter, I spent most of my time in that Savannah, rather than the touristy postcard city. I have a specific memory of one summer night when there was a classical concert in a park in downtown Savannah. I wanted to go, but I was working. I slipped away from the newsroom for a while to join my friends. I remember the music soaring through the velvet darkness; couples and families lounging on blankets with picnic baskets and champagne. And then there was a shooting 15 blocks away, and I had to get back to work. That’s what I wanted to write about. That yin and yang of Savannah. EZB: At a time when journalists are no longer respected and many people don’t understand what they do at all, you bring the profession to life through Harper’s crime reporting, her late nights, deadlines and her fear of being laid off. Did you feel some responsibility to portray that world and get it right? CD: Absolutely. There’s a line in The Echo Killing: “Reporters are as disposable as paper,” and I included that line for a reason. The newspaper industry has been contracting for decades. Every newspaper I ever worked for had layoffs while I worked there. I was laid off twice before I was 25. And that isn’t the only problem reporters have. Their editors ask them to do the impossible daily for very little money. I can honestly say, there isn’t a reporter alive who doesn’t do this job for love. They’re certainly not in it for the money—being a reporter basically bankrupted me. They’re not doing it for the spare time. I’ve never had a journalism job that required less than 12 hours a day from me. They’re doing it because they want to tell the story and because they have a knack for words, and a need to be right where everything is happening. The work they do informing us about what’s going on around us is as important, in my opinion, as the work of the police or fire department, and yet we don’t value them enough to pay a dollar for a newspaper. And, gradually, communities are losing their local newspaper and with it their connection to their towns. And as that goes, their connection to each other dissolves a little at a time. Newspapers are part of the glue that binds us together. It’s not just happening in America. In England, where I live, it’s the same. My local paper comes out weekly. Waiting a week to find out why the highway was closed for eight hours one evening and lined with ambulances and police cars? It’s medieval. EZB: We learned a lot more about Harper in the second book, and you left readers with her embarking on a new journey at the end. What’s next for Harper McClain? CD: Harper still has an old murder to solve—one that has impacted her whole life. In book two, that case heats up again. In book three, it comes to a boil. While she’s working on that case, she’s also covering the story of a popular local musician who disappears after a night of drinking down at the beach. There’s no body. No sign of a crime. Just an expensive guitar and a bottle of bourbon. Harper and the detectives believe either his friends or his girlfriend must be the killer. But figuring out who was behind it isn’t easy when the evidence has all washed away. EZB: Who is responsible for your book covers? They’re gorgeous! CD: Aren’t they wonderful? They are by the amazingly talented David Rotstein, the art director at Minotaur Books. I feel so lucky to have someone with his skill working on my book covers. I want him to design my whole life. EZB: Do you have any more events planned in the U.S.? 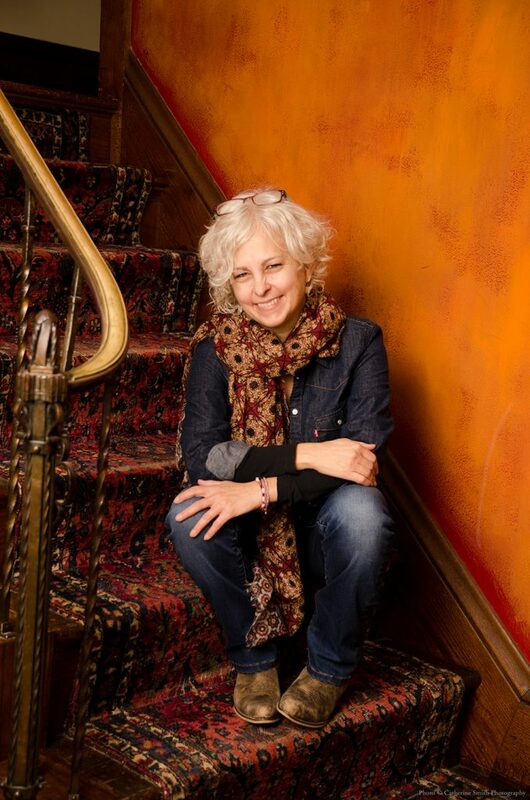 CD: I had a fantastic time at the Savannah Book Festival in February, and I’ll be in New York in July doing a couple of events. I’ll put the dates on my website as soon as they’re firmed up.